Throwing Food - Joyful Toddlers! Welcome back and congratulations! 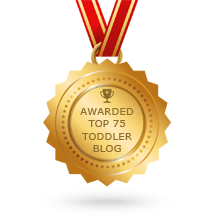 I have a question for you – my son is 15 mo old and is the messiest eater you can imagine. For the most part I let him feed himself (he loves it) but eventually he starts throwing food all over the place. At that point I assume he is full and ready to get down and play, but often he’ll keep eating. I don’t want to take the food away if he is still hungry, but I’m also losing my patience with the food flinging. It’s great that we have a dog who cleans up most of the mess – but still… 🙂 Any advice? I am a big fan of letting kids eat by themselves as much as possible, but I’m right there with you that you don’t want food being thrown around. One thing I’ve discovered that works really well is to give a child a very small amount of food, and then give them more when they’ve eaten it all, and more when they’re done with that. I’m not exactly sure why it works, but kids tend to throw food less when there’s less of it. It’s more energy-intensive for you, but it’s worth it to minimize the flinging. He’s a little young to be talking, but when you see his empty bowl you can say, “You’ve eaten it all! Would you like some more?” He can nod, for sure. You see him nodding and you say for him, “Yes, please.” Then, as he gets older, he can say “Yes, please,” for himself. I’ve also noticed that many kids go through meals in a kind of wave-pattern of eating and not eating (hence the throwing of food, then continuing to eat afterwards). Using the method of eating several small servings can let a child naturally go through those waves. 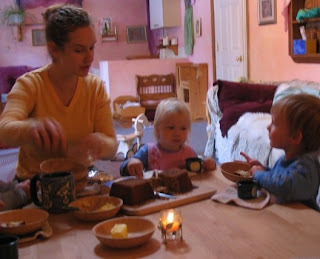 Telling little stories, or doing finger-games, or singing little songs can give a child something to do in the ‘down’ parts of the pattern besides throwing food around, if it hits when his bowl isn’t empty yet. Also, do you eat at the same time as he does? Children act strongly through imitation, so if you see him getting restless and you think food-throwing might be about to start, you could say, “I’m so thirsty! I’ll take a sip of water!” Then you pick up your cup and take a drink. Chances are fairly good that he will do that too. “Mmmmm,” you say, making eye contact with him. Later you might say, “Take a bite!” and you take a bite with your fork. These are great ideas – I have already tried giving him less food at a time and it works. I appreciate the reminder that he will imitate me, so that means I need to be more aware of how I'm acting so he can see that and learn. And, I really love your ideas on creating positive images for children – this makes so much sense. I'm glad you are back. I love your advice and implement your ideas regularly. Dear Rene, thank you for the question and Faith; thanks for the answer! My 2 days from 2 year old will throw his food around at times, when I'm busy trying to nurse my three month old while watching him eat at the table. I have not figured out how to have my meal/ his/ the baby happy and all sitting down at the table for especially breakfast but also lunch and sometimes dinner. Any thoughts?